I am a dad of 3 girls and 4 step-daughters and a runner that doesn’t like to run. I have been fighting Crohn’s Disease since the age of 8 and it has been a marathon to say the least. Through my marathon with Crohn’s, I have been through 4 different surgeries with about 40 inches of my small intestine taken out. I have been fortunate and have a ‘mild case’ of Crohn’s Disease as I have had to call in sick very few times compared to others that battle this disease. Even though I have a mild case, I have had my struggles with Crohn’s and have had over 25 blood transfusions in a matter of one year. My lunch breaks for work would involve going to the hospital and sitting there for my transfusion for lunch. I was inspired back in December, 2017 to run my first marathon at the age of 44. You can read about that inspiring moment here. At that time, I could count on one hand how many races I have run. They were limited to 5k and 10ks and not even a half marathon was in the mix. 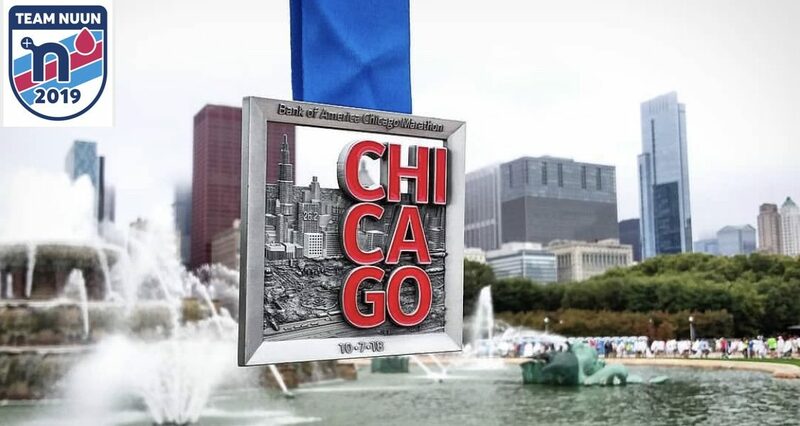 I was not a runner to say the least, but I was inspired to do this and ended up registering to run the Chicago Marathon with the CCFA and Team Challenge. I ended up raising over $5,100 and completed my first marathon on October 7, 2018 in a time of 4:42:01. Through my training I have found that it has actually helped keep my symptoms in check. I don’t know if that’s a coincidence or not, but I will keep on running. One thing that I have learned is that Crohn’s may define us, but it can’t limit us.